Credit Cards: What's The Point of Credit-Card Activation? Very recently, I had my mail routed to my cousin's house (we'll call her Sally.) Why? Because I was dealing with a number of moves within a short period of time, and needed a solid and stable place to park my mail. My favorite rewards card expired, so a new one was mailed to Sally's place. Sally discovered my new card and used it to buy some emergency drugs from her local pharmacy. She simply ripped open the envelope and used it, without activating the card. I check all my active accounts everyday (online of course.) When I discovered the 3 charges totaling $235 @ a NYC pharmacy, I confronted my cousin immediately. She did not deny anything, but, I was very disappointed when she suggested that I call my bank and claim that the charges were fraudulent. Her logic was, "well, they should not have allowed me to use the card without activating it. They deserve to take a loss." I paid the $235 online the same day. Sally wasn't trying to scam me. I actually owe her money from years ago when I needed help with a large child support payment. However, I was shocked that she didn't call me to let me know about the charges. She knew that my credit score would have suffered a severe blow had I missed a payment on those charges. What if I was on vacation and not checking my accounts as diligently as usual? What if I was in the hospital? 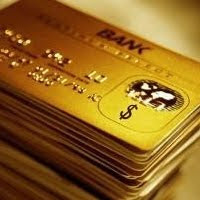 So, my question is: What's the point of credit-card activation? I won't communicate the name of my credit-card bank, but it's a very large, financial institution with offices all over the world. The CreditCards.com website has an interesting article here.